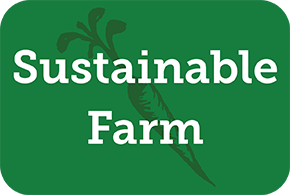 We are a small artisan farm that has been sustainable for over 20 years, producing free-range, pastured organic eggs, PYO blueberries, raw honey, specialty salad greens, garlic and anything else that we decide to grow that year. The farm is open to customers by appointment only. Free-range, pastured eggs of colors; blueberries; raw honey; specialty salad greens; and garlic. Blueberries are available from the end of August through the beginning of October.